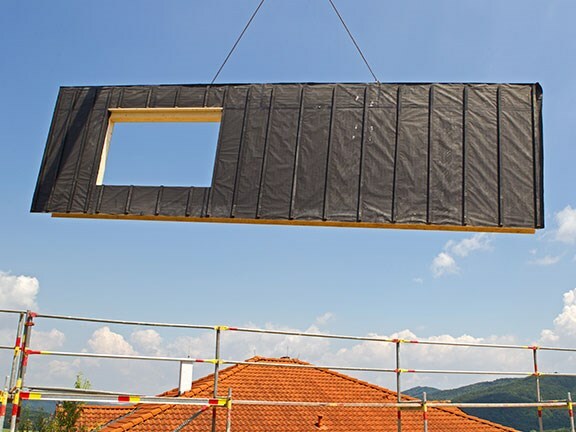 The University of Melbourne, in collaboration with Speedpanel Australia, has been awarded a $3 million grant to undertake a project that will research and develop pre-fabricated building systems. The grant is from the Australian Government Cooperative Research Centre (CRC), which aims to improve the competitiveness, productivity and sustainability of Australian industries by encouraging high-quality collaborative research between industry and research organisations. The aim of the iBuildCRC project is to develop an innovative building system that will deliver faster and cheaper construction of homes. This is being done by focusing on using 3D-modelling techniques and automated production to create building panels out of lightweight, environmentally friendly materials such as waste slag from quarries. The panels are also designed to be as multi-purpose as possible, allowing for fewer types of panels to be manufactured. "This new panelised system will be a significant advancement on traditional building products because it will be lightweight, easy to construct, reusable, recyclable and have better load resistance," University of Melbourne department of infrastructure associate professor Tuan Ngo says. Pre-fabricated panel manufacturer Speedpanel is excited about the opportunities the research presents. "This will lead to more efficient, sustainable construction in Australia and greater export opportunities," Speedpanel Australia managing director David Visser says. "Prefabricated construction is ideal for affordable inner city developments and this technology will help close the gap with reduced construction costs and increased fire protection qualities, which are pressing issues for the government."